This is a final Miami Marlins 2019 spring training schedule. The Marlins train at Roger Dean Chevrolet Stadium with the St. Louis Cardinals. 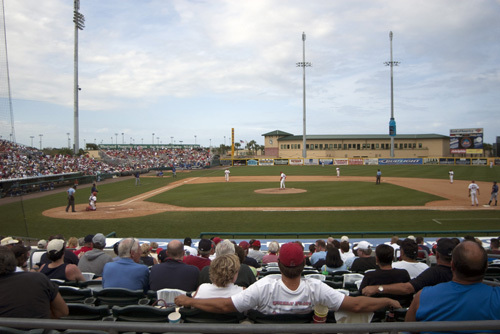 This is the third spring training home for the Marlins: the then-Florida Marlins began life training at Cocoa Expo before Space Coast Stadium was completed. To receive Miami Marlins 2019 spring training schedule updates and other spring-training information via email, please sign up for the Spring Training Online email newsletter.